I wasn’t born on the farm. In fact, I actually grew up in the back room of The Insurance Place. 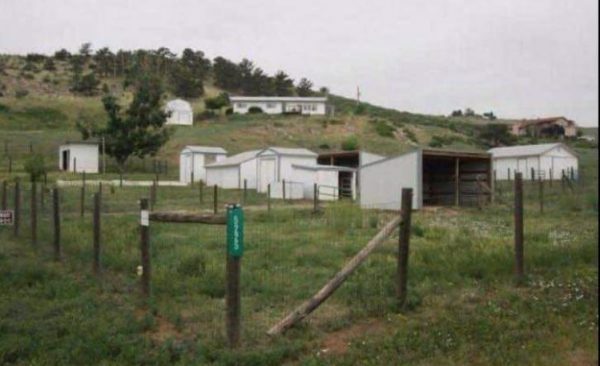 My husband grew up on a ranch in Limon, and he eased me into livestock with our first small flock of Barred Rock chickens. We had so much fun building their coop and raising the fluffy little chicks. It was only a few months later we moved to nine acres in Berthoud, and I brought home our first pair of dairy goats. 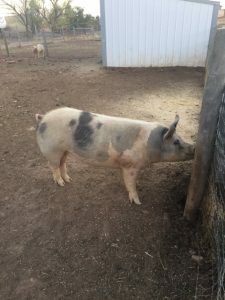 Since then, we have moved again near Carter Lake and are now also raising hogs, in addition to our chickens, and Nubian dairy goats. I wanted to share a day in the life on our farm. First there is no typical day, but all of the animals know our routine! Mornings are nice and quiet right now – the kids are kept with their mamas full time so we are not milking in the mornings just yet. We love watching the kids jump and run, our oldest says they have springs in their feet. The afternoons are when everyone around us knows it’s chore time. The chickens run to the yard ready for scratch while our son fills their water/feed and collects eggs. Our dairy goat Brie, unfortunately lost her baby this year, so she gets milked in the evenings and loves her special grain on the milk stand. Brie hollers because she thinks she should always be first for chores, but we save the best for last, so we can bring her milk immediately up to the house. Our noisiest animal is hands down a young hog named Bucket. Bucket was given to me when she was less than a week old, she was the runt and not expected to survive. I bottle fed Bucket on a strict schedule, and kept her in a kennel with a heat lamp in our garage. 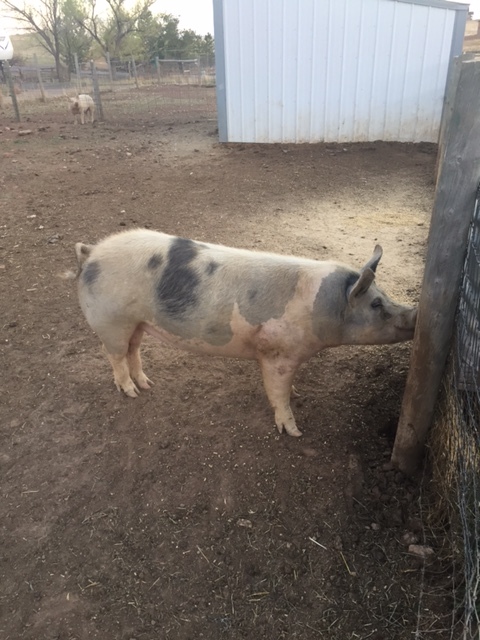 Now, Bucket is a big healthy girl and we hope to use her for breeding. However, she really loves the dogs and they have taught her some naughty habits. One of Buckets favorite things to do is chase cars along her fence line and “bark” at them! Our boys think this is hilarious and will grow up knowing pigs don’t say “oink”. 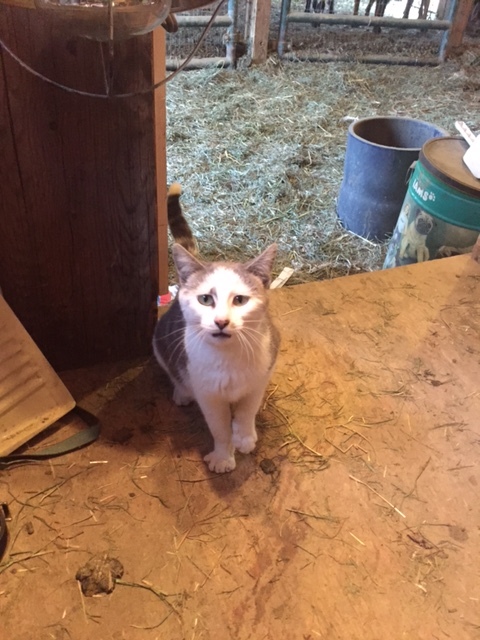 When we finally make it back to the barn to milk Brie, it comes hand in hand with sounds from the noisy barn cat. She begs for milk. Each day she gets a small bowl of stripped milk as a giant thank you for keeping the mice away. There is a black and white picture that floats around the internet of a farmer spraying milk from a cow into a cat’s mouth. My husband and I have both tried this with the cat, but all she gets is a milk bath! Speaking of knowing our routines, Brie wins this award. We open her gate in the barn, she runs into the milk-room and jumps up on the stand to wait patiently even with all the distractions my children and husband can offer. When finished she goes straight back in her pen for fresh hay. I love that there is not a “goat rodeo” with Brie. 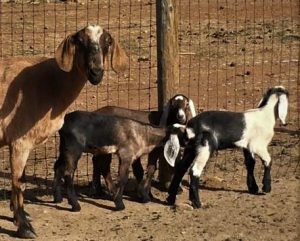 It takes a few weeks for them to learn, but the goats will all know who gets milked first and who will wait at the gate for their turn. People are always amazed to watch the goats when they know their routine. Life on the farm is full of projects and hard work, at the end of the day though I am always so thankful to be able to raise our boys here and live this life. Even though I wasn’t born on the farm, I got here as fast as I could.